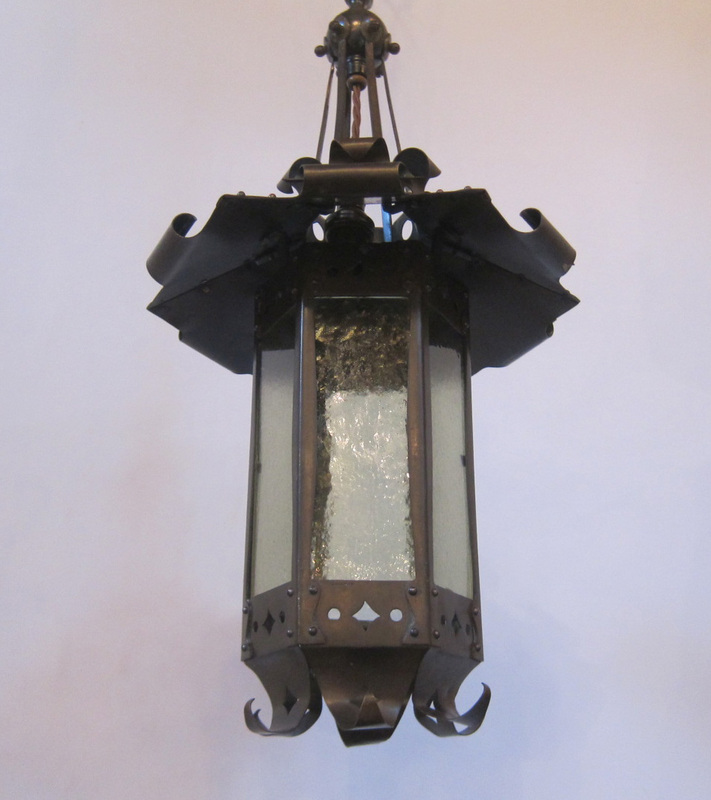 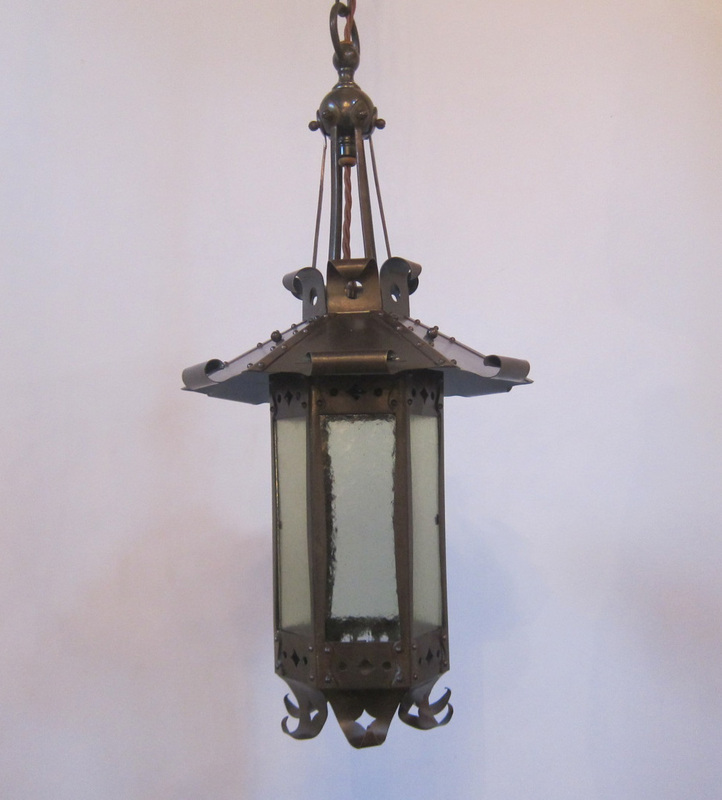 English Arts and Crafts lantern in a patinated brass finish, complete with the original glass panels with a subtle moss green tint. 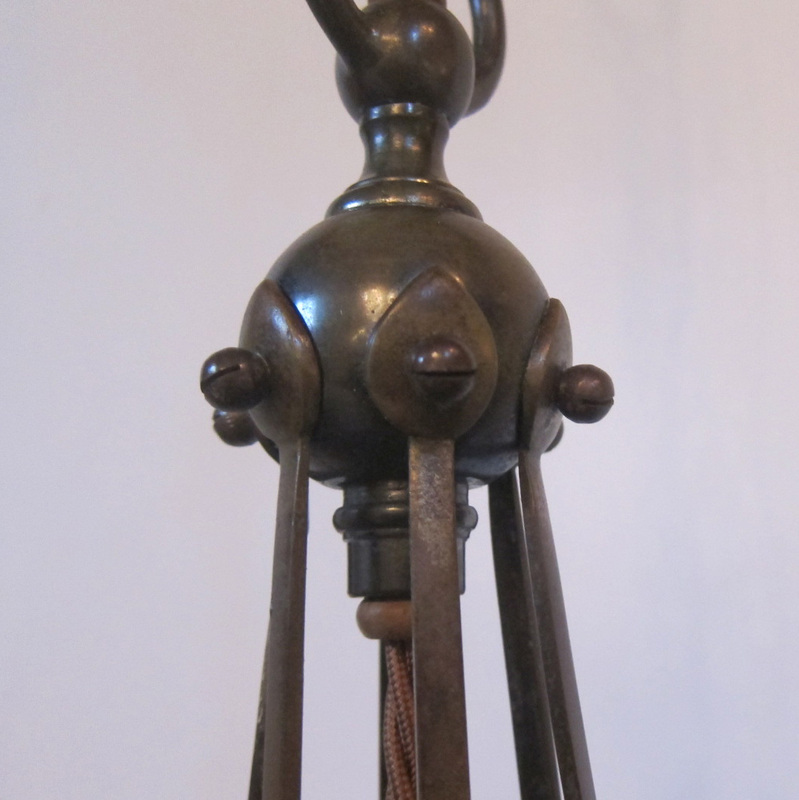 The light is stamped to the bulb holder and also to the main body of the light ‘Ediswan’. 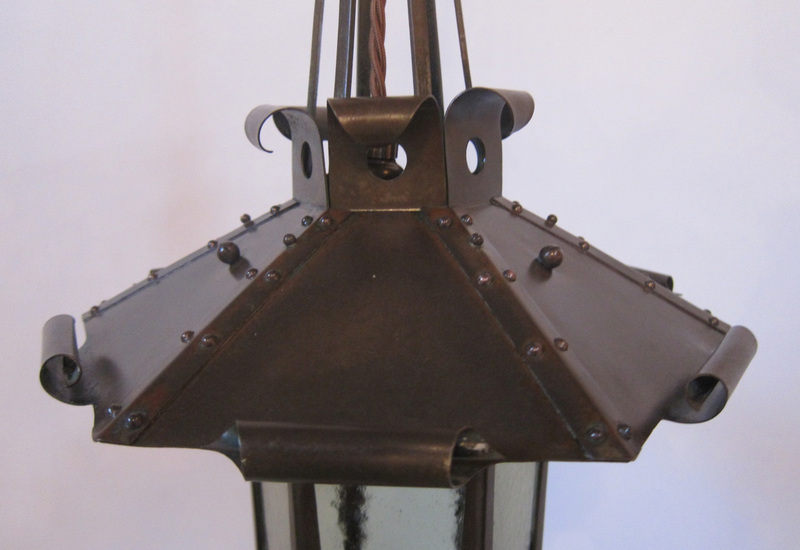 The light is in the Arts and Crafts style yet also reflects the industrial age with numerous brass rivets in its construction.